Is A 1961 Willys Wagon The Ultimate Campmobile? 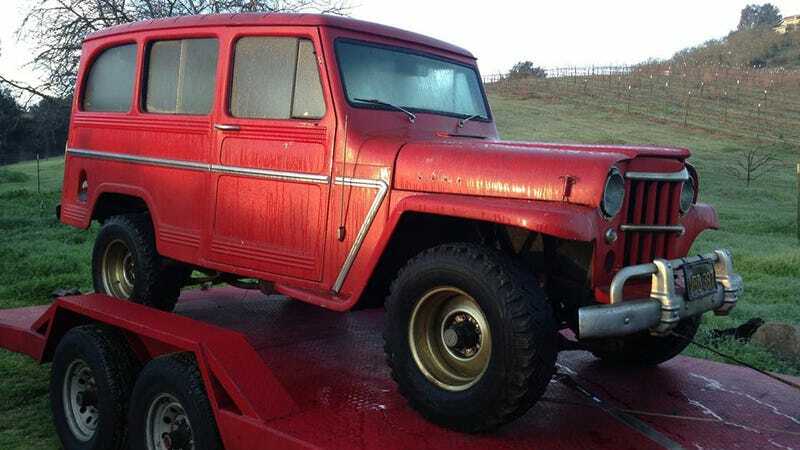 Is buying a Willys Wagon that's been sitting in a garage since 1978 a good idea? As long as you live close to a desert, I say hell yeah! On this episode of Dirt Every Day, Fred goes down the barn find route ending up with a 1961 Willy's with a dead Ford V8 up its nose. It's hard to find a simpler, more utilitarian machine than these classic four-wheelers, and once you swap in a 4.8 with fuel injection from a Chevy Silverado and fix a few minor issues, nothing stands in the way of a nice long road trip onboard USS No Brakes. The lack of safety makes these so damn brilliant. I guess we Europeans need to stick to Land Rovers and mud. No deserts in sight I'm afraid.